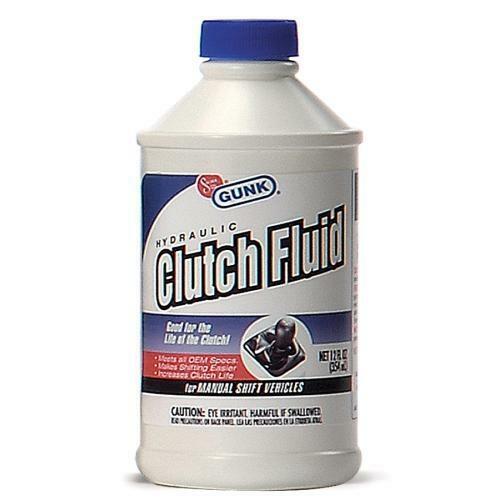 McLeod Racing Hydraulic Clutch Fluid - Dezod Motorsports Inc - Home of the automotive performance enthusiast since 2002. The most common question get here at McLeod Racing is “what fluid do i use with your hydraulic bearings?” We have partnered up with GUNK Brands to give our customers an approved DOT 3 clutch fluid that works with our line of hydraulic bearings. For smooth and trouble-free manual shifting. Meets all OEM specifications. Clean all dirt from around filler plug on hydraulic clutch fluid reservoir before removing. Contamination with dirt, water, petroleum products or other materials may result in clutch failure or costly repairs.